Blaine Jackson wants to make health and fitness a way of life for the older adults who call Epworth Villa their home. He’s on his way to that goal, with the recent completion of Epworth’s 100 Days of Fitness. Epworth Villa, in north Oklahoma City, is one of several United Methodist-affiliated retirement facilities in Oklahoma. Sixty-three people signed up for the fitness program, which ran from May 13 to Aug. 23. Participants kept track of their activity by marking wall posters in Epworth’s gym every time they took classes, swam, or worked out on fitness machines. The program spurred some friendly competition among the older adults, who were encouraged by leaders on their residential floors to participate. "It’s been good to see everybody take it and really go with it," said Jackson, 26, Epworth’s wellness coordinator. A former personal trainer, he holds a degree in health and exercise science. He leads a range of classes from Monday through Saturday, including "Flex and Stretch," water aerobics, Tai Chi, line dancing, chair yoga, and balance and fall prevention. He wants Epworth Villa residents to adopt the motto "Exercise May Be for Me." 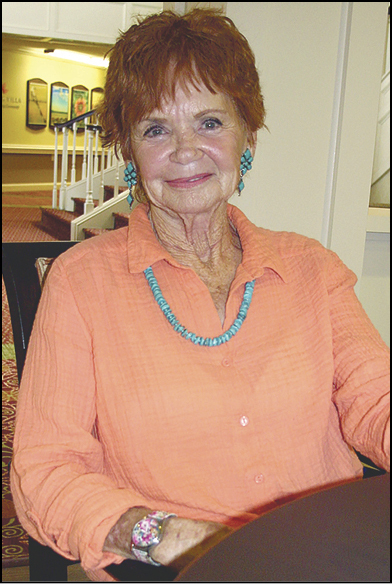 Among those taking advantage of the fitness programming is resident Jeanene Carver, 83, who has undergone surgery to her back, knees, and shoulders. Before she started exercising twice a day, "I had a pretty high level of pain," the retired nurse said. That has declined since she began to exercise. "I have to go to feel good," said Carver, a United Methodist who worships at Epworth. She also has noticed improvement in range of motion for her arms. Carver and her neighbors will have a chance to move even more when a new program starts this month. "Golden Swans," a ballet exercise program, is being offered at Epworth Villa through Ballet Oklahoma. The class should help older adults keep their bodies nimble and improve overall mobility. No prior dance experience is required. Jackson also plans a "Blackout Bingo" exercise promotion, aimed at getting every resident to try every fitness class at least once. A related effort for healthy living at Epworth Villa emphasizes good nutrition. Residents cultivate a community garden with flowers, melons, and vegetables. Produce not used by the gardeners is free for the taking from a basket in Epworth’s coffee shop, said Beth Case, the Community Outreach Coordinator. EDITOR’S NOTE: Epworth Villa, Oklahoma Methodist Manor in Tulsa, and The Commons in Clinton are the beneficiaries of an offering taken annually by Oklahoma’s churches. Senior Living Ministries Sunday is next scheduled for May 13, 2018. 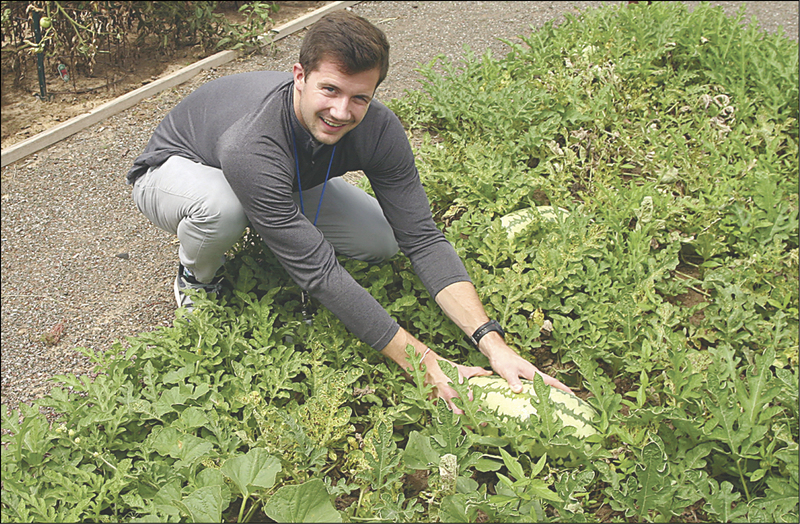 Blaine Jackson, who is Epworth Villa’s wellness coordinator, checks on a watermelon ripening in the community garden at the United Methodist-related retirement center.